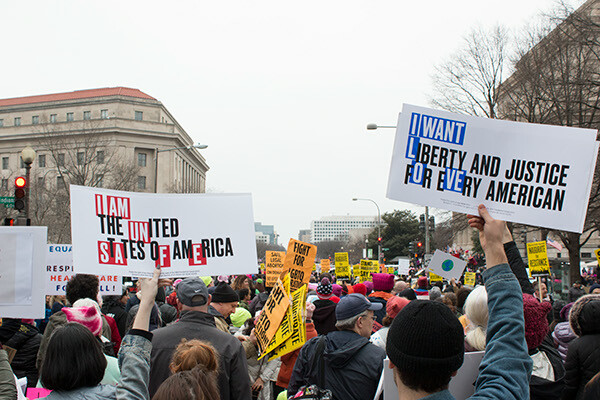 This continually-growing campaign is a direct response to the results of the 2016 United States Presidential Election, but also encompasses the sentiments of pre-existing civil rights movements. 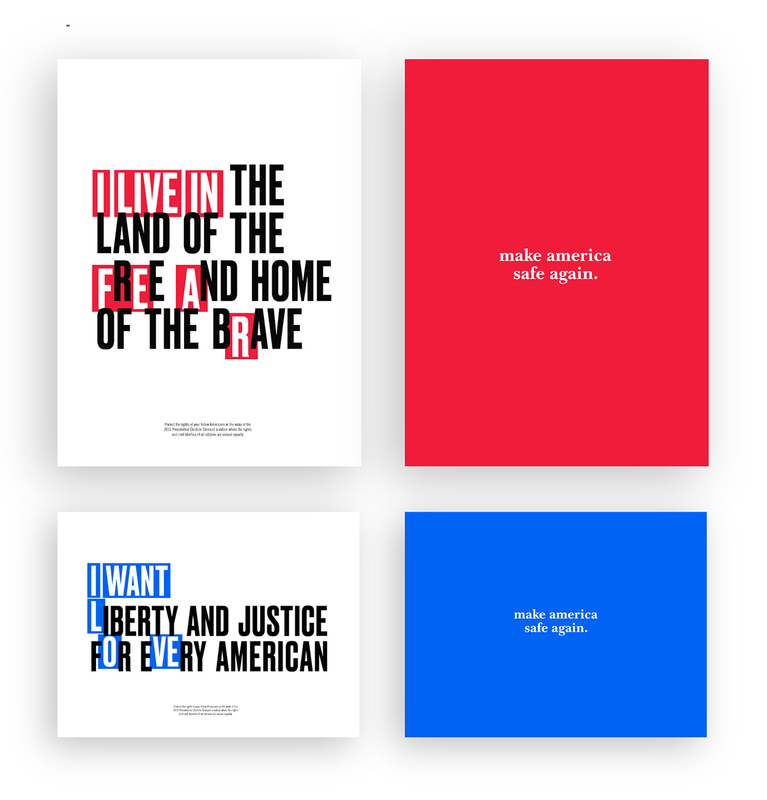 The campaign uses well-known patriotic phrases and buzzwords to highlight hypocrisy within traditional American values, and isolated letter-forms to draw attention to marginalized groups. 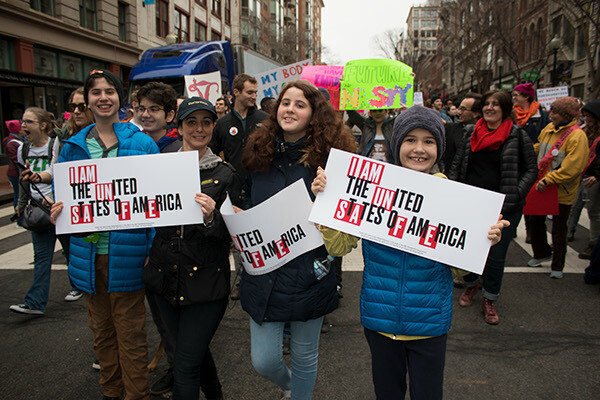 The PSA, posters, and social media elements call for the majority to recognize widespread fear among minorities, and focus their attention on better unifying the American people. 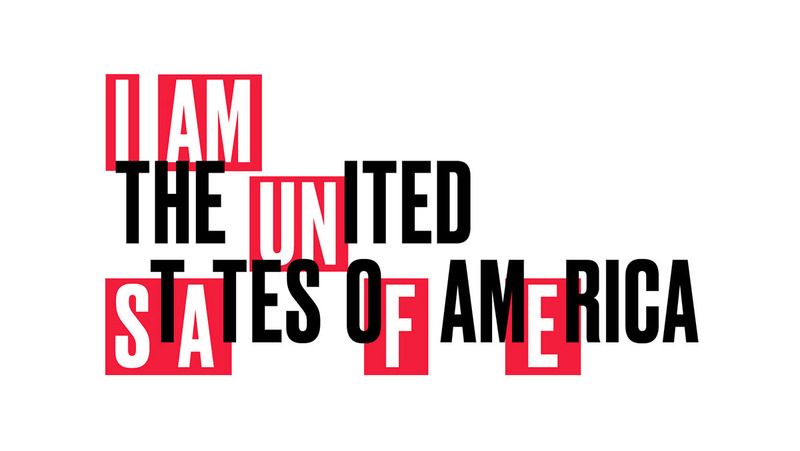 A series of posters complimented by transparent colored films promotes the PSA. 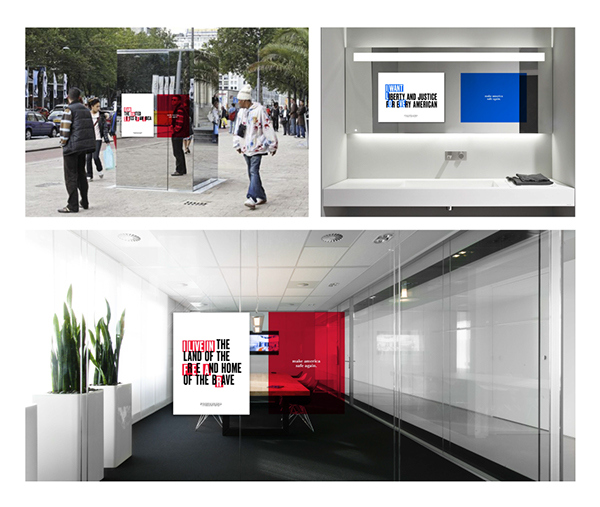 Once placed in a public space, the posters become interactive, inciting both intro and outrospection in the viewer. 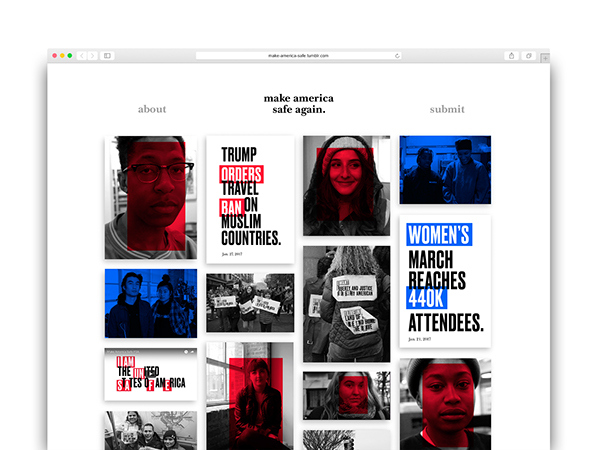 A Tumblr page keep the content growing and the campaign relevant with important headlines. 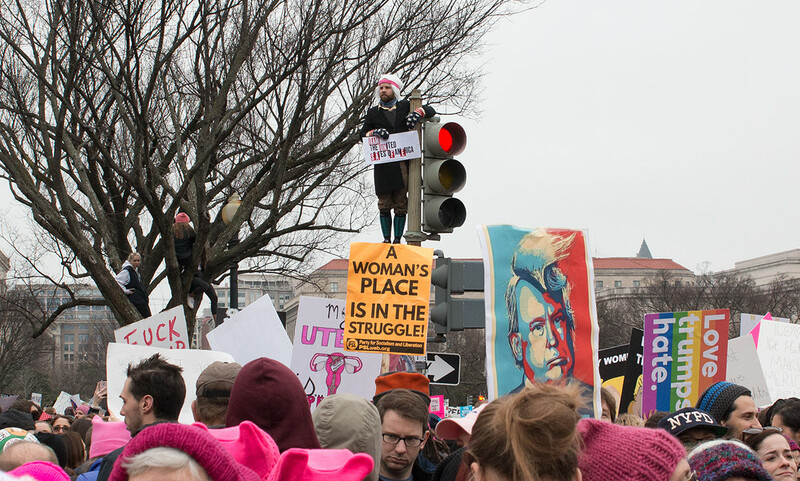 Snapchat filters offer more interaction and opportunity for sharing. 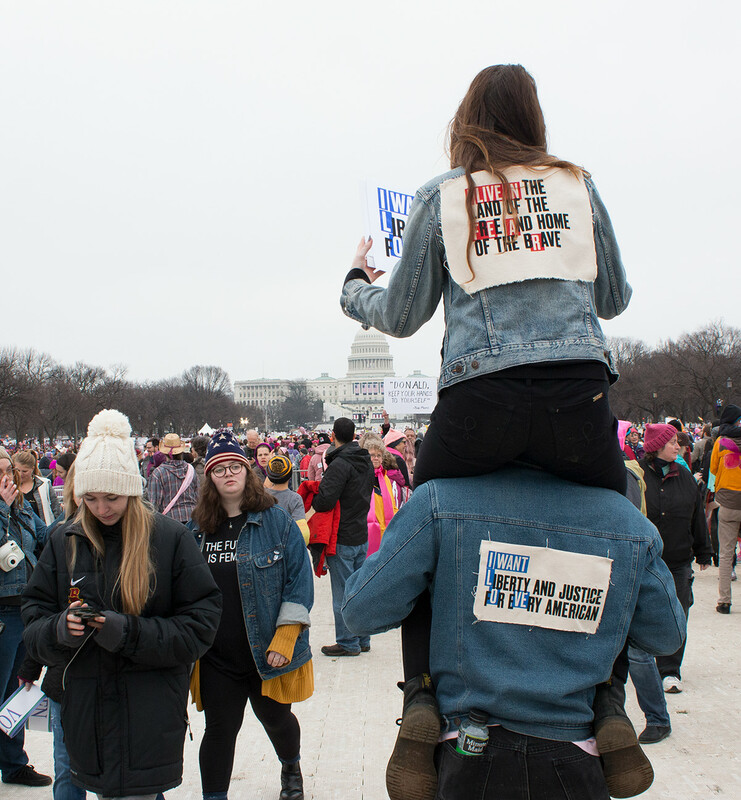 The campaign was put into action for the first time at the Women’s March on Washington DC. 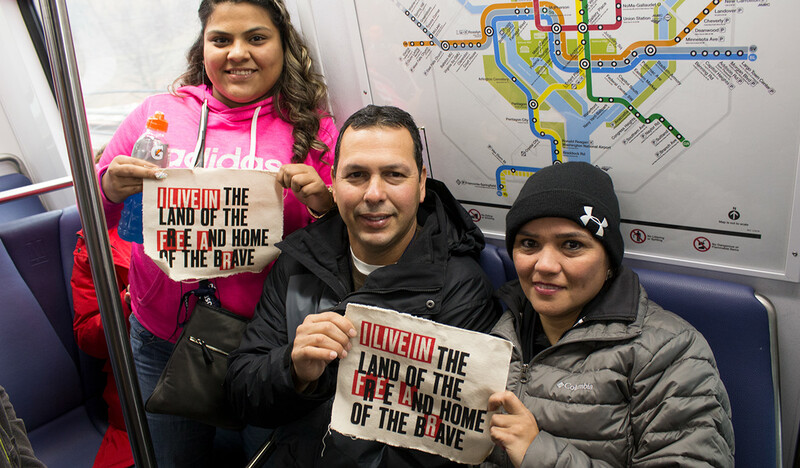 There, nearly one hundred people bore screen printed patches and signs with the messages. 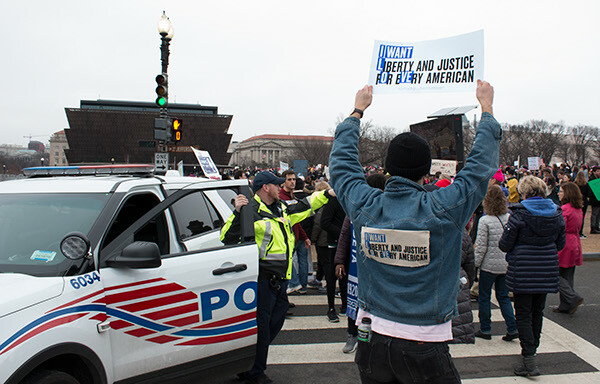 Below, is a series of images from the protest. 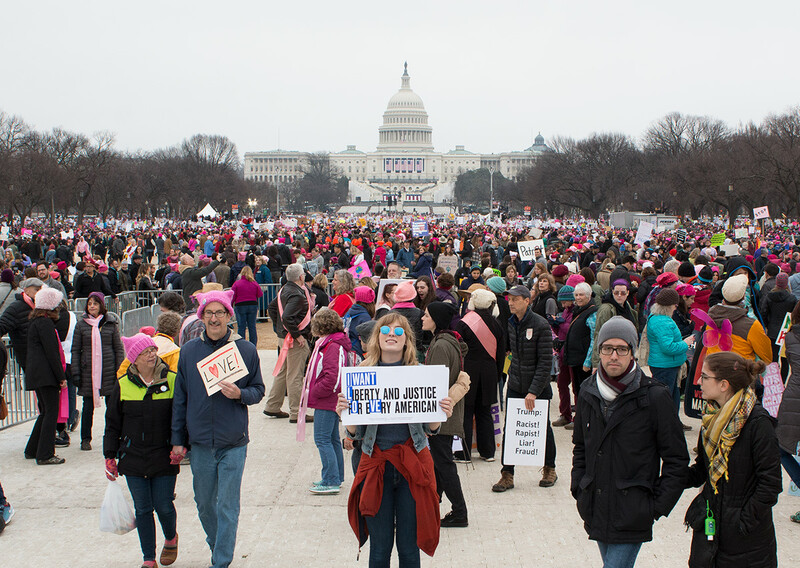 The campaign was put into action for the first time at the Women’s March on Washington DC. 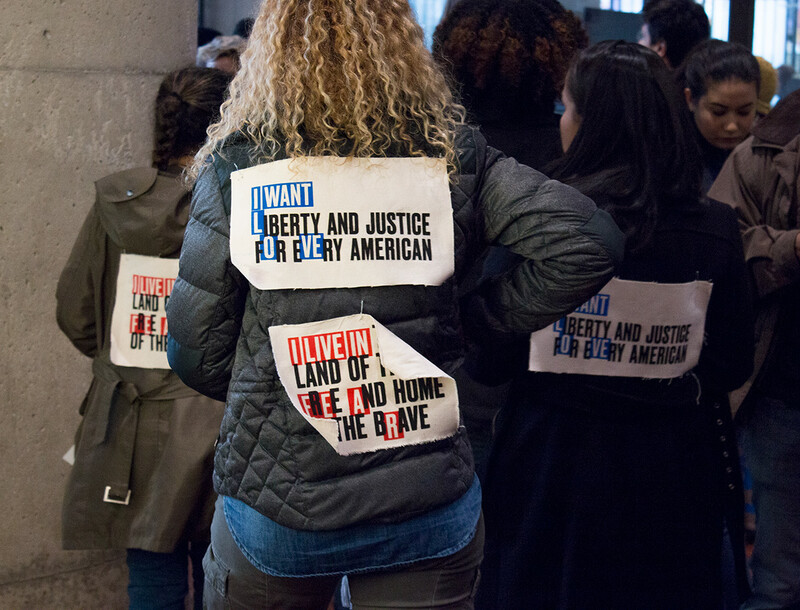 There, nearly one hundred people bore screen printed patches and signs with the messages. 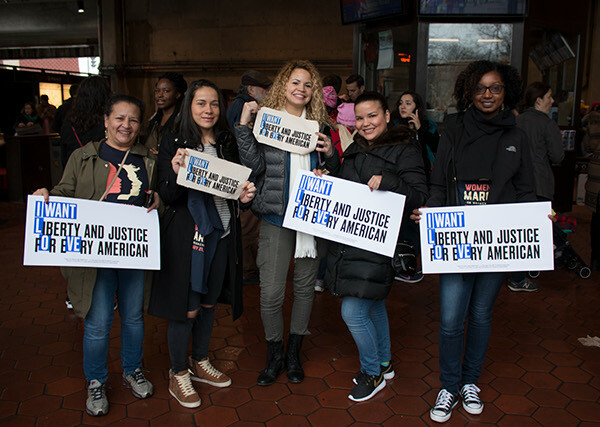 This continually-growing campaign is a direct response to the results of the 2016 United States Presidential Election, but also encompasses the sentiments of pre-existing civil rights movements. 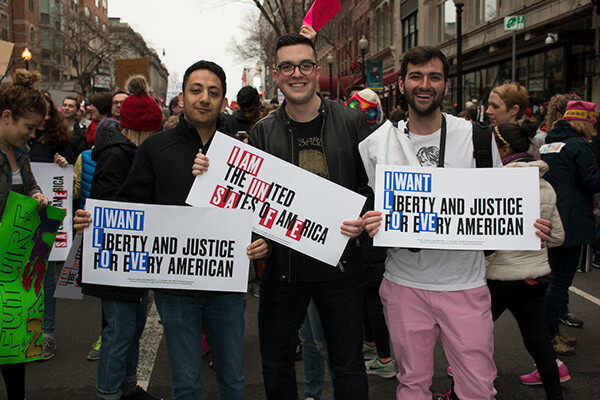 The campaign uses well-known patriotic phrases and buzzwords to highlight hypocrisy within American values, and isolated letterforms to draw attention to marginalized groups.